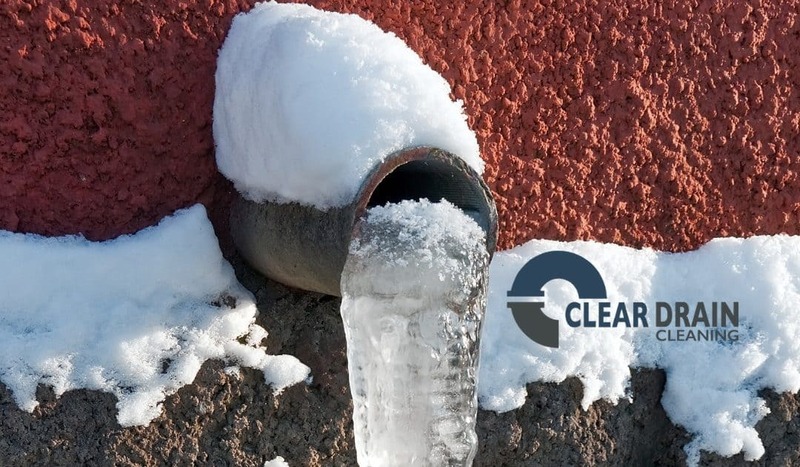 Most people know pipes can freeze in the winter, but did you know that your sewer line can freeze too? Understanding how this happens, and ways to avoid it, may save you an expensive mess in the cooler months. What Causes a Freezing Sewer Pipe? Travelling water or trapped water in your sewer pipes become exposed to cold winter temperatures. When the temperature drops below 32 degrees Fahrenheit, this water is susceptible to freezing. As we learned in Science class, when water freezes, it expands. Expanding water in a pipe has nowhere to go! The expanding water blocks the line, or can even crack open your pipes causing them to burst. A blocked line stops water from flowing freely through your sewer pipes. It may start as a small blockage, but when more water arrives, and builds up overtime, your pipe can be completely blocked off by ice. Blocked lines equal backed up drains and lots of mess for homeowners. Even worse, cracking or bursting pipes may cause serious damage to your home and require an expensive fix. How Do I Avoid Freezing Sewer Pipes? How Do I Know If My Sewer Pipes are Frozen? Watch for any water or dampness appearing in an unusual place. Damp walls and ceilings, water puddling outside, frost on the outside of pipes, or flooding may indicate frozen sewer pipes. Take note if your pipes or vents are producing strange noises or smells. Another indicator is if water stops flowing from faucets or only comes out in small amounts. What Should I Do If I Have Freezing Sewer Lines? For hard to reach drains and pipes, you should contact a professional drain service who specialize in dealing with underground sewer drains. They will be able to make a clear assessment and produce a solution. Clear Drain Cleaning is a local owned company that specializes in cleaning and servicing drains, sewer systems and septic systems. We utilize specialist cleaning methods such as hydrojetting and electric drain cleaning methods, along with camera inspections to ensure we get it right the first time. Additionally, we service grease traps, septic systems, sewers and offer a root removal service. We proudly serve Holmes County, Wayne County, Tuscarawas County, Coshocton County, Stark County, Ashland County and Carroll County. Contact us today and Like Us on Facebook!